Tips To setting up a business page on Facebook without a personal account. How do I act as my business page? Tips To Build Business on Facebook? As we know that a user or a business man can setup their business along with huge capital. But here we will tell you how to increase your market rates for your business. This article is all about How to Setup a Perfect Business Page on Facebook? Facebook is one of the best social networking and if you really want to spread your business online throughout the world than Facebook provide the best platform. You can easily setup your business online and promote all around. There are millions of users on Facebook, so if you are going to setup your business their than you will surely get success. Just you have to follow simple steps and start promoting your business online easily. First of all you have to choose your business class. What kind of your business is? Which category your site and business is belonging. You have to choose the category of your business. Their are different types of classification are available on Facebook like- brand or product, company, entertainment field, community etc. Your business motive and the reason behind it will tell us the main story regarding it. So try to choose the category carefully. 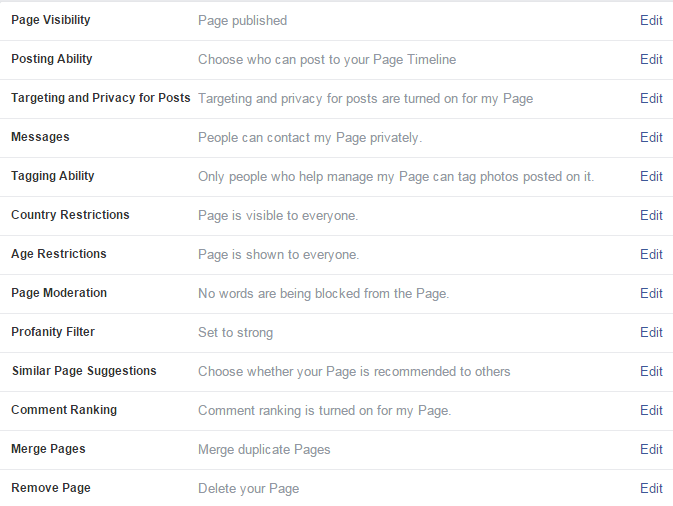 These are some classification types you must check while creating an business page on Facebook. When ever you are register yourself in any site , you have to fulfill all the details regarding yourself, just like that you have to fill the details regarding yourself and regarding your business. So that people will learn about something relate to your business. You can add multiple members to your page and promote it worldwide.Just click on Settings and choose the Page Roles section. But firstly you have to became an administrative member so that no one can edit the changes. 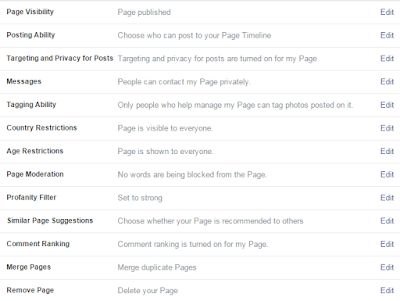 Admin: You become an master of your page and complete access to the Facebook page. Editor: You can post messages, also you can create ads, sends messages to your friends, members, readers, edit the page and its settings, plus you can comment on various posts and view insights. Moderator: You can also create ads, view insights, add comments, respond and delete the spam comments. Advertiser: You can create ads, view insights, check which admin commented and posted messages. Analyst:At last, you can check which admin commented and posted messages. You can also upload your picture or you can put the image and logo of your company or business. If you want a perfect square image will work, than the recommended size is 180 x 180 pixels. Your cover photo is also play an important role. It should be large, horizontal image that spans the top of your Facebook Page. You can also choose your company banner and logo also. Typically, this is a branded image to help attract people to your Page, in short it is a technique to gain some readers and traffic to your page. The official photo dimensions are 851 x 315 pixels. Your cover image should be simple and also you can choose a picture which give some quotes and message about your company and business. If you want to build your business throughout the country than search out the people which has a common interest just like yours. Find those people and members whose have same interest like yours. You can also follow those peoples on Facebook whose have same background field just like yours. You have to manage the website and your page settings. These include general, page info, post attribution, notifications, page roles and apps and features etc. You need to work upon advanced setup. Just click on Settings button from the top menu bar and go to Page Info. In this section, you can add an address, the date, the time/ year when the business and website is founded, give a long description of the business beyond the 160 characters, website URL and additional contact information like your phone number (don't reveal your personal phone number) and email address.